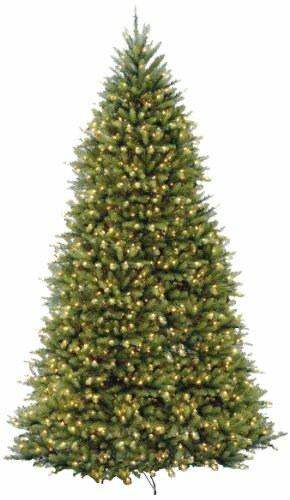 A large room needs a large tree and at 12 ft. tall, they don't get much bigger than this Dunhilll Fir. It is pre-strung with 1500 clear lights that remain lit even if a bulb burns out. This full body tree features a generous number of branch tips for holding holiday trimmings. Hinged construction and included metal tree stand add to ease of assembly. Also includes spare bulbs and fuses. Packed in reusable storage carton. 5 year tree / 2 year lights warranty. Assembly instructions included.